Do I want an open or closed adoption? If I want an open adoption, how much contact do I want with my child? Do I want to meet prospective adoptive parents? 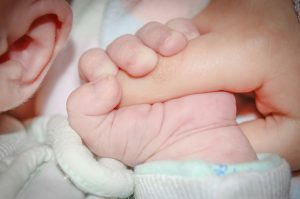 If I choose a closed adoption, is there ever a chance that I might want to meet my child or the adoption family later in life? The adoption specialists at Adoption Makes Family are here to help you explore your feelings and answer these difficult questions. We are a non-profit (501-C3) licensed adoption agency based in Maryland. Our experienced professionals are available 24 hours a day, 7 days a week to help and counsel you so that you make the best decisions for your future. We simply want what is best for you and your baby, whatever outcome that may be. “Whichever scenario you imagine for your child can become reality when you choose an adoptive family that best matches the adoption plan that you set for you and your child,” says Kirkpatrick. No matter which scenario you see for you and your child, one thing remains constant – a local adoption agency can be a tremendous benefit. Face-to-Face Meeting: When working with a local adoption agency, birth parents are able to meet potential adoptive parents face-to-face. This allows birth and adoptive parents to connect in a way that just isn’t possible online or over the phone. An Open Adoption allows birth parents and adoptive parents to continue a relationship after the baby is born. Now, as we have said before, the degree of “openness” can differ greatly from adoption to adoption. “If the birth mother chooses an open adoption, the child and adoptive parents go to another state far away which makes the open relationship more difficult,” says Anita Stevens, Family Connections, Inc. Selecting a local adoption family ensures your child remains close. While some national adoption agencies have local offices, local adoption agencies typically serve a specific geographic location, such as a particular county, state or region. This entry was posted on Thursday, December 14th, 2017	at 8:27 am	. You can follow any responses to this entry through the RSS 2.0	feed. Both comments and pings are currently closed.